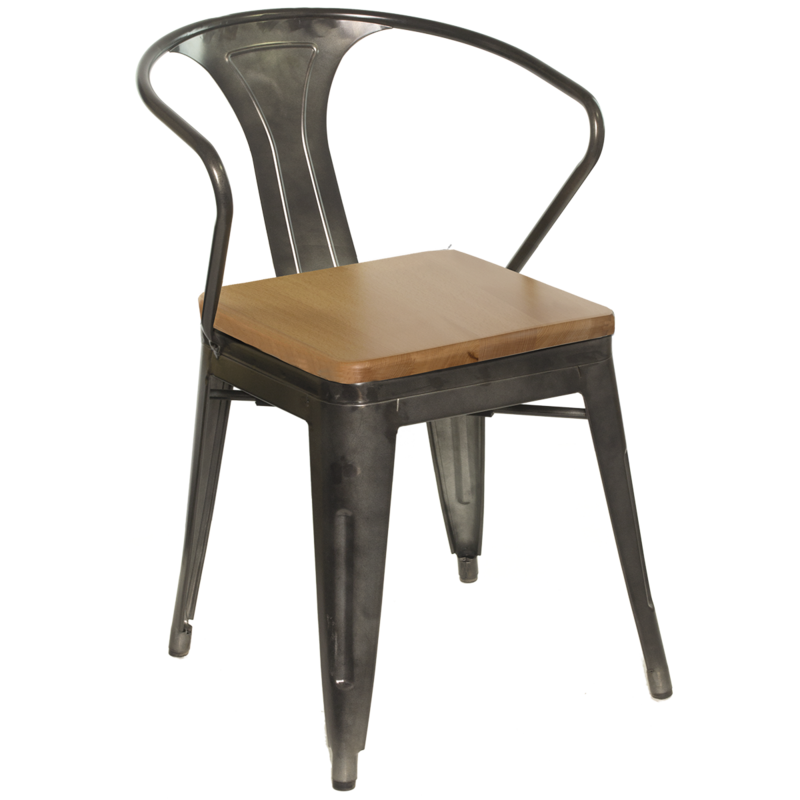 Galvanized steel, stackable chair. Welded construction for indoor or outdoor use. Wood or padded seat optional.